Does it pass my pintest? 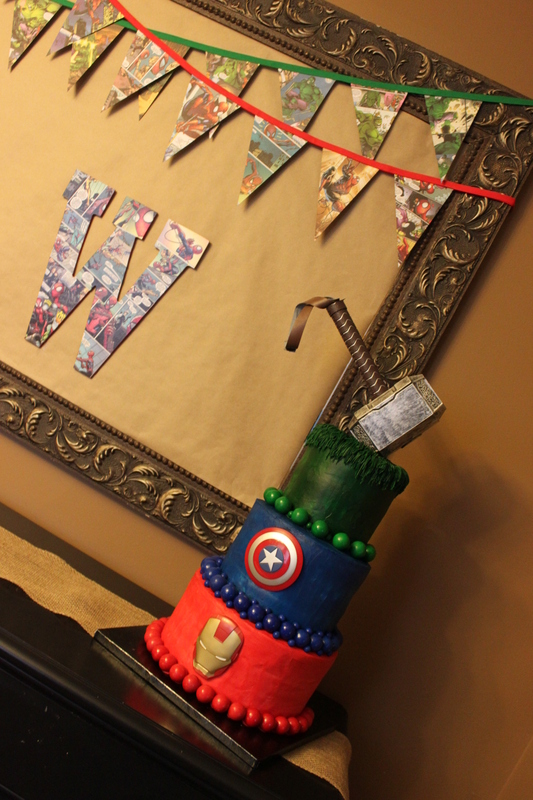 When my son requested a Super Hero birthday party this year I knew just what had to be done! The hardest part of this project was finding just the right comic book. I found some at the dollar store but they were not very vibrant and did not have many images of Spiderman on them. I then went to a discount comic book store and found real books that had vibrant colors and thick glossy pages. The price was not bad either and my older son enjoyed reading it first. 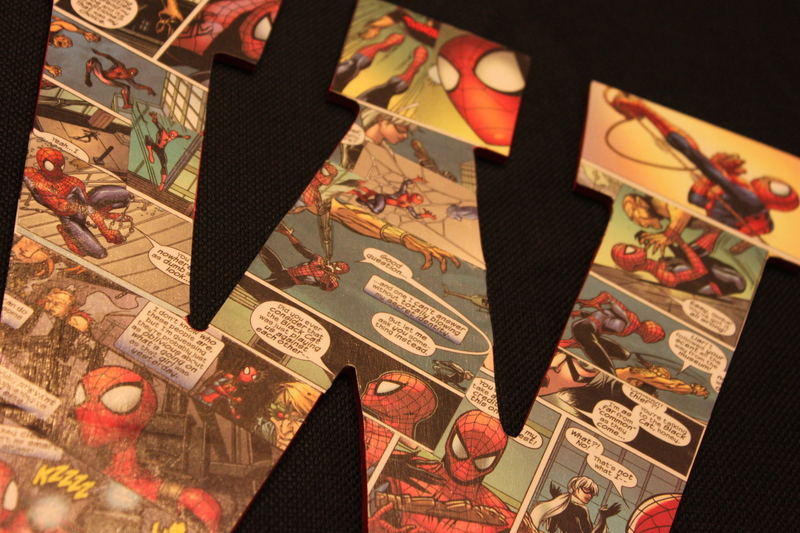 The best part is that it will make a wonderful addition to my sons superhero room that is in the planning. 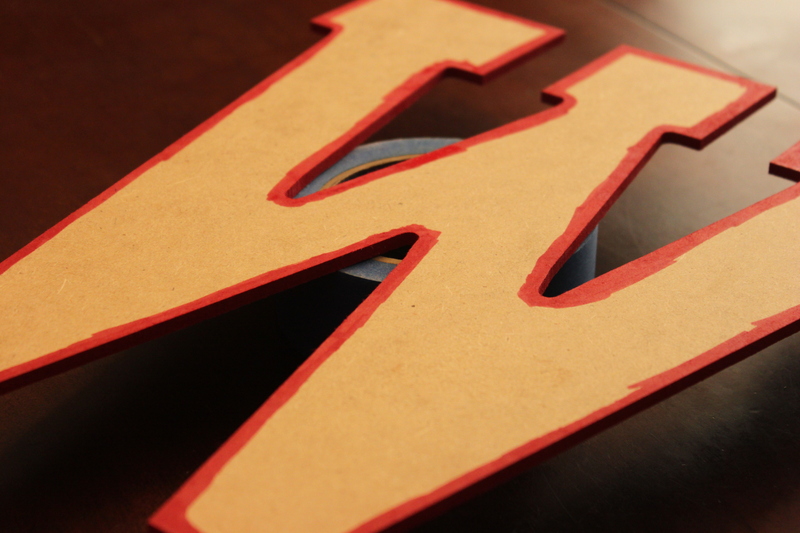 First I painted the edges with a paint pen. 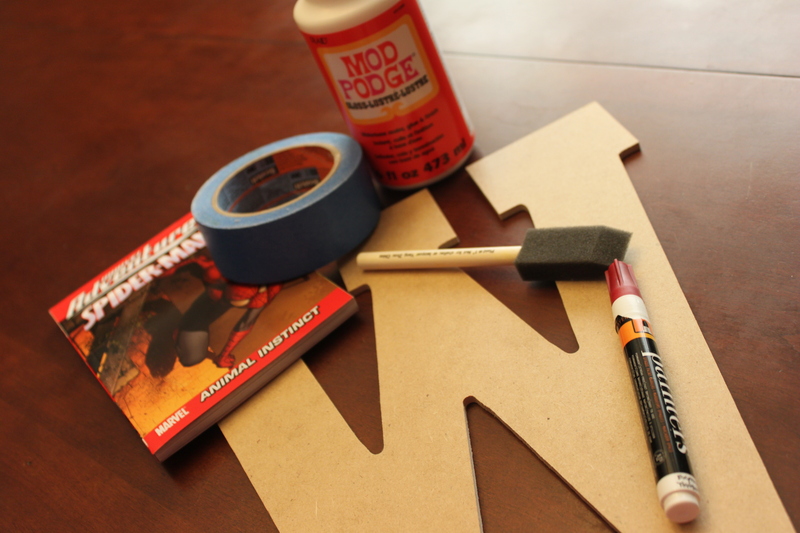 You can use any kind of paint or sharpie. Paint pens are wonderful though you don’t need a brush and it dries very quickly. 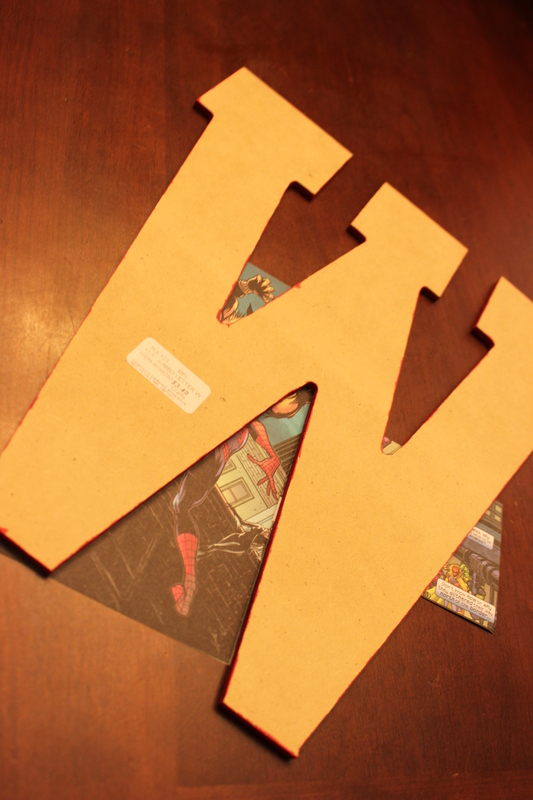 Then I started placing the comic pages on the letter. 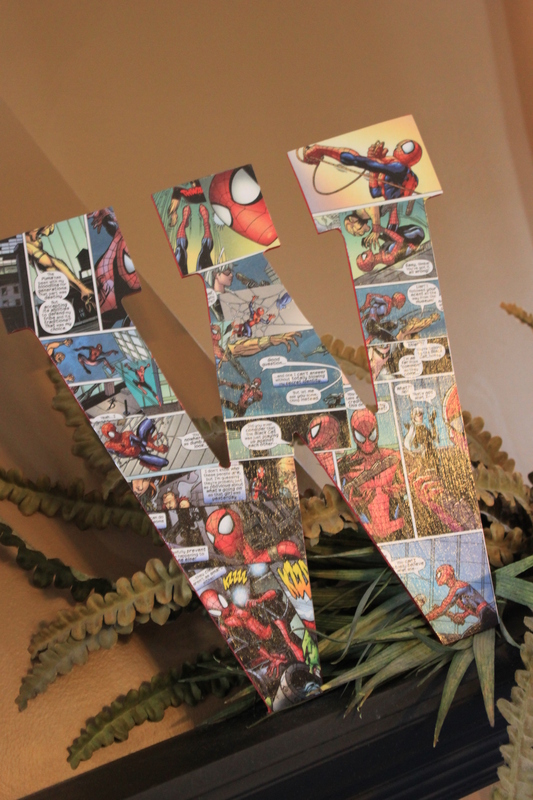 I moved them around until I had many Spiderman images on the letter. This can take as long as you want. If you want you could just place a whole page on and not be worried with where the images fall. I on the other had took a little more time and tried to make as many Spiderman images as I could on the letter then centering the images so Spiderman’s head was not cut off. I used the painters tape to attach them in place until I was ready to glue them down. after I filled the whole letter I flipped it over on my cutting mat and cut the excess paper away. The next step is to take the modge podge and put a thin layer on the wood. Placing the image back in place. After you run your foam brush with more modge podge right over the top. It dries clear just make sure it does not go on to thick. You then repeat several layers after each dries. I did 3 coats on mine. I think it turned out great and my older son is now requesting a Star Wars letter for his room. I guess I will be heading back to the comic book store real soon. 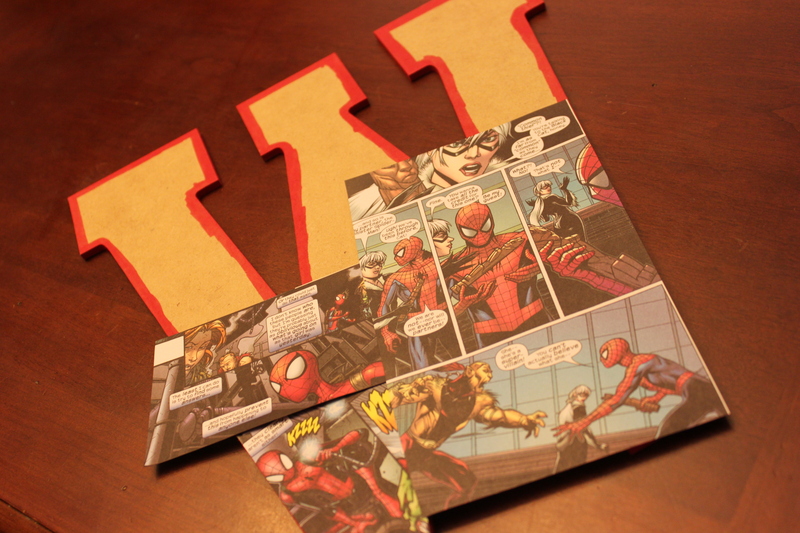 Posted in Crafts, Interior Design, Recreations of Pinterest Pins and tagged comic book letter, kids room letter, spiderman diy, spiderman party, spiderman wall art. Bookmark the permalink. Hi! I am Danielle Interior designer turned stay at home mother of 3 wonderful kids. I love to do crafts, projects, parties, and photography. With this being said I am a not a pro by any means and have had many many failed attempts. Some funny and some just plain ugly:) I do not care for cooking and house work. My goal is to find a better, faster, more organized way to just get it done so I can spend time with the ones. This is where Pinterest has come into my life. Pinterest and I have a love/hate relationship. I have spent the better part of a day looking up great ideas and never putting them to use. What a waste of time... or is it? Sometimes I find something that rocks and I try it and the world is a better place:) But the worst is when I try something and it’s a big bust. A how did that ever pass for working, did they even read the steps they were giving, or do you think they get a laugh out of my attempt. Many friends have told me that I need to post the bad ones so they don’t bother and let them know the good pins so they can give them a try. So here goes!